The Transition Support Unit (TSU) recently presented at a national conference about its role supporting students’ success, engagement and wellbeing during transition to boarding school. The Boarding Australia 2017 National Conference was held on 5-7 July 2017, with the theme ‘The Other 18 Hours’ - the hours outside the classroom, which are critical to students’ success. Members from the Transition Support Unit spoke about their approach to supporting students’ social and emotional health and wellbeing as they transition to boarding school. They also presented on the findings from a report commissioned by the University of Melbourne called Supporting Students in Transition. The report provides evidence-informed recommendations to guide schools and the education system to support the successful transition of young people across their schooling lives. Research indicates that positive transitions require attention to wellbeing as well as to engagement in learning. This includes establishing positive staff-student relationships, building strong home-school connections, and nurturing cultural recognition and respect. The Transition Support Unit assists about 1900 boarding students from 46 very remote communities in the Northern Territory. It has helped to increase the total number of students at boarding schools by 812 in the past year from 1147 student in 2016 to 1959 students in 2017. Transition Support Officer Shannon Killer said it was great to see students that made the transition to boarding school thrive in their new environment. “TSU is there to provide support and guidance to children and families that haven’t formally had it before,” she said. “The kids are excited because they are exposed to different people, different opportunities and places. Boarding school opens so many doors for them. 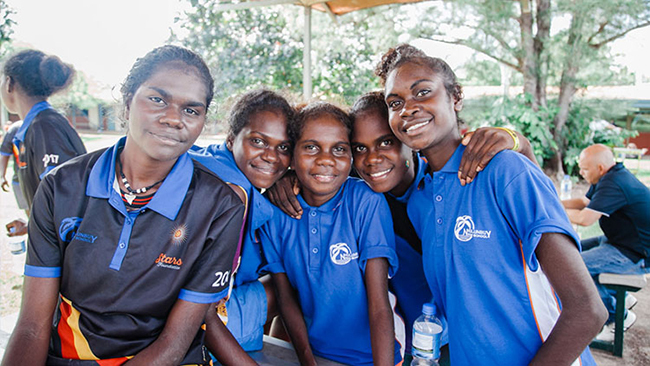 “Boarding school is not for everyone but for those families in remote communities that want a secondary education for their child, it’s a great opportunity for them and we get to support and guide them through that journey.